We engineer our products to be of the highest quality. We want you to rely on Abrams MFG to get the job done. If for any reason they don’t, we offer the following warranty terms. Abrams Manufacturing warrants products of its manufacture against defects in material and workmanship. This is provided that the product has been installed and operated in accordance with the manufacturer’s recommendations. During the warranty period (see below) the Abrams Factory Repair Center will repair or replace (at its option) any parts or electronic assemblies of the unit which disclose a defect in material or workmanship. The Repair Center will return the repaired unit, transportation cost prepaid. The above warranty is between the first purchaser (ultimate user) only and Abrams Manufacturing. Prior authorization is required for returning Abrams products for warranty consideration. Each Abrams product sold is covered only by the official warranty in effect at time of purchase. This warranty is not applicable to any Abrams product that has failed from damage as a result of incompatiblyle chemicals (including de-icing or road treatment), cleaning products or due to abuse, misuse, improper installation, excessive voltages, or alterations to the product that affects, in the manufacturer’s judgment, intended use and service. Abrams Manufacturing will not be held liable for any incidental or consequential damages, and assumes no responsibility or liability for expenses incurred in the removal and/or re-installation of products requiring service and/or repair; nor the packaging, handling, and shipping to the Factory Repair Center; nor for the handling of products returned from the repair center after service or repair. There are no other warranties, expressed or implied, including, but not limited to, any implied merchant – ability or fitness for a particular use. Abrams Manufacturing reserves the right to modify this warranty statement at any time; or discontinue, modify, or upgrade any products of its manufacture with design improvements without prior notice. The use of magnetic or vacuum/suction mounted warning lights mounted on the roof or exterior of a vehicle in motion is at the sole discretion and risk of the user. Abrams Manufacturing makes no warranties or guarantees of equipment used in this way. All power plugs/cigar plugs poly-carbonate/plastic materials, industrial products and high power voice/siren systems are not covered by this warranty (see applicable warranty statement). All Non-Abrams manufactured items that are sold by Abrams are covered by that manufacturer’s warranty, and are excluded from this warranty statement. This warranty will be void when using or substituting other than all-genuine Abrams system components, such as remote head assemblies, shielded cables, strobe power supplies, siren amplifiers and siren speakers. This warranty gives you specific rights, and you may also have other rights which vary from state to state. ELECTRO MECHANICAL PRODUCTS STANDARD / 2 YEAR WARRANTY. 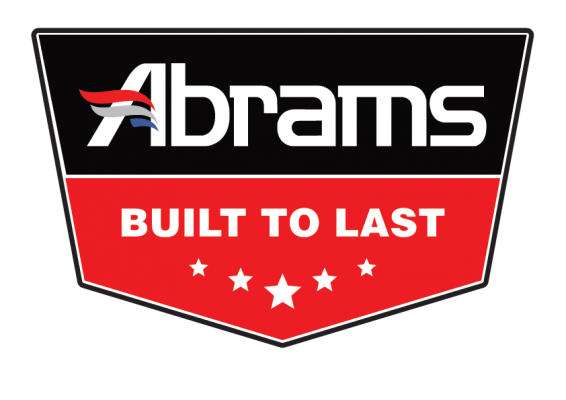 Abrams products are covered by a direct warranty for up to a maximum two years from date of purchase (not to exceed three years from date of manufacture), with proof of purchase. In accordance with the policy statement described herein, the unit may be returned directly to the factory for warranty consideration. Abrams siren speakers, when used with an Abrams siren amplifier, are covered by a 2 year warranty from the date of manufacture. Heavy-Duty motor assemblies (so marked) are covered by a direct warranty for up to three years from date of manufacture. For warranty consideration, both the siren speakers and motor assemblies are subject to the conditions and steps described herein. Abrams Manufacturing Automotive Siren Amplifiers Only (excludes mechanical components, i.e. switches, etc. ), LED Products bearing the official AbramsLogo and manufactured to Abrams standards, are covered by a direct warranty for up to five years from date of manufacture. In accordance with the policystatement described herein, the unit may be returned directly to the factory for warranty consideration. 12 MONTH WARRANTY – BACK-UP ALARMS. Abrams Manufacturing Back-Up Alarms are covered by a 12 month warranty and are subject to the conditions and steps described herein. Abrams Manufacturing offers to repair or replace, free of charge, any part of its products that have been repaired by Abrams within 12 months and are less than 5 years old, subject to the conditions and steps herein. Abrams Manufacturing will pay ground transportation from Abrams’s factory to the customer via UPS where available (in the Continental U.S.). 1) Go to our Online RMA form to create and obtain RMA Number. 3) A copy of the sales receipt must be returned with the defective unit to qualify for warranty coverage from date of purchase. 4) Write the RMA number on the outside of the box and write Warranty – Exchange. 5) Include a short statement explaining the problem. 6) Include your name, address, and day-time telephone number. 7) Abrams Manufacturing will, via UPS, ship back the repaired unit freight prepaid, usually within a few days.